Dr. Asselin attended California State University, Fresno, where she received her Bachelor of Science degree. She obtained her doctorate at NYU, graduating with honors. Dr. Asselin completed a one-year clinical concentration program in oral medicine and pathology and was recognized by the American Academy of Oral Medicine for her interests in disease processes of the oral cavity. She completed a two-year post-doctoral residency program at University Medical Center, Fresno, where she served as chief resident. Dr. Asselin was conferred her Fellowship by the Academy of General Dentistry (AGD) in 2007, an honor bestowed to only 13,000 dentists worldwide. In 2012 she was selected by her peers and honored with the distinguishment of fellow into the American College of Dentists (ACD).Most recently she was inducted into the International College of Dentists( ICD) the oldest honorary organization for dentists. Selected by her peers Dr. Asselin is now among 1% of dentists worldwide who have received this honor for her continued commitment to excellence through outstanding leadership, ethics and exceptional contributions to dentistry and society. She has received extensive training in cosmetic dentistry through the prestigious Rosenthal Aesthetic Institute in New York, the UCLA Aesthetic Continuum, Dawson Center for the Advancement of Dentistry in Florida, Spear Institute in Scottsdale, AZ and USC Full Mouth Implant Reconstruction . Dr. Asselin is a certified Invisalign Preferred Provider and Da Vinci veneer provider. The past 14 consecutive years she has been named Who's Who in Healthcare. Currently, she is on medical staff at Community Regional Medical Center and is also an adjunct professor for the University of the Pacific Dental School. Dr. Asselin provides a unique blend of artistry and science to each patient's experience, utilizing the most advanced dental technology available. With comfort and quality at the helm of her procedural approach, she has established a reputation for stunning results; providing patients of all ages healthy, beautiful white smiles that look and feel natural. Dr. Asselin is the past President of the Fresno-Madera Dental Society. 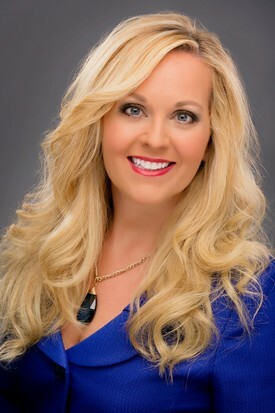 She is also an active member and serves on the board of numerous other professional organizations including the American Academy of Cosmetic Dentistry, Academy of General Dentistry, American Academy of Oral Medicine, American Dental Association, and California Dental Association. Raised in the Fresno/Clovis area and a graduate of Clovis High School, Dr. Asselin is actively involved in the community. She volunteers her services and time to organize the annual Save and Seal Our Smile, Give Kids a Smile, and Team Smile, which provide free dentistry to disadvantaged children. She was named "Woman of the Year 2007" for Fresno County for her fundraising efforts to benefit the Leukemia and Lymphoma Society. In 2009/2010 Dr. Asselin was selected to be the exclusive dentist for "Fabulous at Any Age: The Fresno Extreme Makeover Project." Dr. Asselin was honored in 2011, as the Top 40 Under 40 in Fresno for having demonstrated a strong work ethic and being a leader of today as well as tomorrow in the business sector and the community. She has generously helped victims of domestic violence by partnering with AACD Give Back a Smile program.